To our Imitators: It is a violation of International Copyright Law to copy and reprint, or reproduce in any form, any contents- partial or entire- from these pages. 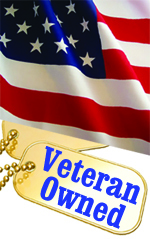 Photos and content are all original content and property of VI Reed & Cane Inc.
1. What are Reed Diffusers and how do they work? 2. Are Reed Diffusers environmentally friendly – “green”? 3. What should we look for in Reed Diffuser quality? 4. Should Reed Diffusers include DPG or alcohol? 5. What size reed sticks and how many should I use? 6. Are your products tested on animals? 7. Why can”t I just re-use my sticks over and over again? 8. How long do Reed Diffusers last? How do I use them? 9. My reed diffusers don’t seem to be scenting the room as strongly as I would like. What’s wrong? 10. Bamboo? Reed? What really works? 11. Then why do I see reeds listed on the Internet as “bamboo diffusers”? 12. Can I use different scents in different rooms? 13: How does your sense of smell operate? 14. Why can’t everyone smell all smells? 15: Can I just add a vegetable oil carrier to make Diffuser Oil from Fragrance oils? Can I use my candle oils or other oils “as is”? 16: How much Reed Diffuser Oil should I put in the diffuser bottle? 17: How many reeds should I put in the bottle? 18: Can I dilute Fragrance oil with water to make a diffuser blend? 20: My bottle is not empty but my fragrance doesn’t seem to be diffusing. 21: Why can’t we get 100% natural Reed Diffuse oils? After all, essential oils are all natural. Q: What are “Reed Diffusers” and how do they work? A: Reed diffusers are the best alternative to candles. Vibrant scents. No risk of fire. 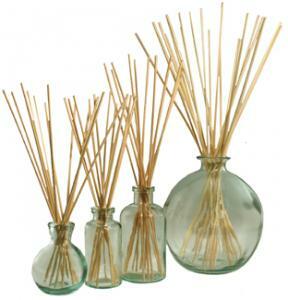 Reed diffusers have a wonderful aromatic scent while being flame-free. Absolutely no heat is needed. This makes them safe for classrooms, offices, nursing homes, homes. Each 2.75 mm or 3 mm reed stick contains 20 or more individual cellular sections that run from top to bottom of the reed- like 20 micro-mini straws (cells, channels, microscopic tubes- whatever you want to call them). They’re totally open to pull liquid from bottom to top. This wicks the fragrance from inside the bottle in an example of capillary action, carrying it to the top surface of the reed, and releasing the fragrance into the air naturally. Q: Are Reed Diffusers environmentally friendly- “green”? A: Our reed diffusers are very environmentally friendly. They emanate NO soot or film onto your furniture, walls and ceiling- the way candles do. (If you use an ionic air cleaner, you already know that ionic cleaners must be cleaned twice as often if you use candles in your home. Not so with reed diffusers.) Our ingredients are alcohol-free and DPG-free. Unregulated reed diffusers from China may have any combination of unregulated ingredients. Q: What should we look for in Reed Diffuser oil quality? A: Reed diffuser oils should be formulated in the USA. 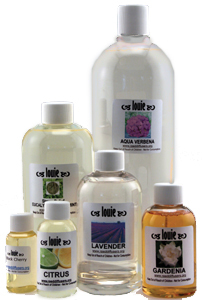 Our oils are created to our high standards in reputable North American fragrance labs. Reed Diffuser oils from China may contain any combination of unregulated ingredients. Our reed diffusers contain no DPG and no alcohol. Q: Do reed diffuser oils have to include alcohol or DPG? A: No. DPG and alcohol are added to many reed diffusers to dilute the reed diffuser oil. You don’t need alcohol or DPG to make the reed diffusers “work”. Our reed diffuser oils are complete as you receive them. In fact, the cheap imported reed diffuser oils have a high alcohol/and/or/DPG content so that they will evaporate faster (and get used up so that you have to buy more). They also have less of the essential oil base that makes up the reed diffuser oil. BTW, even expensive reed diffusers can contain DPG and alcohol to stretch the scented oil. 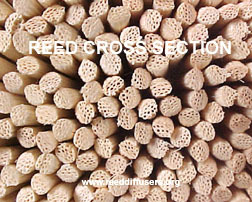 Q: What size reed sticks (and how many) should I use? A: We sell three diameters: 2.75 mm, 3 mm, 3.25 mm. 2.75 mm and 3 mm are very, very close in size. The thickest are 3.25 mm for the highest ratio of diffusion, but 2.75 mm is the most popular. Use as many as will fit the diameter of the bottle neck. 12 is usual. In terms of length, you want the reeds to stick out of the bottle at least as much as the height of the bottle. See proportions at left. The photo are left shows, from left, the mini-orb with 10″ (2.75 mm) reeds, the 3.5 oz apothecary with 10″ (2.75 mm) reeds, the 8 oz apothecary with 12″ (2.75 mm) reeds, and the 66 oz. orb with 15″ (3.25 mm) reeds. We have reeds in 10″, 12″, and 15″ lengths. Use whichever length looks best to you. You don’t want them to be top-heavy so that they are apt to get knocked over. (For example, don’t use 15″ reeds in a 3″ tall bottle.) Usually you want the reeds sticking out of the bottle more than equivalent to the height of the bottle. For example, an 8 oz apothecary can use any length of reed, but a 4 oz mini-apothecary should use 10″ or 12″ reeds. A very large 66 oz Orb bottle should use 15″ reeds. Q: Why can’t I just re-use my sticks over and over again? A: Once the reed sticks, aka diffuser reeds, are totally saturated, the cells in the reeds eventually get somewhat clogged and lose their ability to pull the scent up into the reeds and throw the fragrance into the room. Needless to say, you definitely can’t move the reeds to a different scent of oil- because the cells will contain the previous scent of fragrance diffuser oil. You won’t get a pure scent transfer. Reeds are very inexpensive so you can replace them by having stock on hand in your favorite size. Order replacement reeds here. Q: How long do Reed Diffusers last? How do I use them? A: Our reed diffuser oils last for months. It’s not possible to say precisely how long. They’re subject to environmental factors: closed doors, open doors, dehumidifiers, air conditioning, etc. Pour the oil into the diffuser bottle, insert sticks. Turn over once to expose oil-moistened sticks to air. The oil will continue to wick up the sticks and scent your room for several months. Turn sticks occasionally to refresh scent~ once a week should be adequate. We recommend that you carry your reed diffusers to the kitchen sink to do this. (When the oil is finally used up, wash the bottle/vase and simply pour in an oil refill and replace the diffuser sticks.) Order replacement reeds here. Q: My reed diffusers don’t seem to be scenting the room as strongly as I would like. What’s wrong? A: If you’ve flipped your reeds so that moist reed ends are sticking up, perhaps you’re trying to scent too large of a room. You might need more than one bottle of reed diffuser- placed in opposite corners- for optimum results. Also, if your room has an active A/C, air exchange system or frequent door opening to the outside, it may effect results. Q: Bamboo, Reed, Wood? What really works? A: There’s a lot of misinformation about diffuser reeds in the ads online. The answer is simple. It’s not wood. It’s not bamboo. It’s “reed”, and reed is the only fiber that will work. of its structure. Bamboo has what are called “nodes” on the outside of the plant. These are like tree “knots”. On the inside of the bamboo at this location are “diaphragms” which block the flow of liquid from one section of the bamboo to the next. When bamboo is used for fountains, the solid wall of the diaphragm needs to be knocked out to create an opening. When bamboo grows to this size, it’s also very hard and dense. (hard enough to be used as a substitute for hardwood flooring.) When you slice bamboo into slivers that make up “bamboo skewers”, the plant doesn’t lose any of this characteristic hardness. A bamboo skewer just looks similar to a reed. But it can’t wick oils like reed. Notice: It is a violation of International Copyright law to copy and reprint, or reproduce in any form, any content – partial or complete- from these pages. Photos and content are all original content and property of and V I Reed & Cane Inc.
Reed, on the other hand, is very porous and excellent for diffusion. Each 2.75 mm or 3 mm reed stick contains 20 or more individual cellular sections that run from top to bottom of the reed- like 20 micro-mini straws, totally open to pull liquid from bottom to top. This wicks the fragrance from inside the bottle, carries it to the top surface of the reed, and releases the fragrance into the air naturally. We’ve been in the reed business for 30 years. We absolutely stand by these facts. Q. Then why do I see reeds listed on the Internet as “bamboo diffusers”? A. Simple. There are a lot of sellers who don’t know what they’re selling. A: Yes! Then you’ll walk from one scent to another. Since scents trigger feelings, reed diffusers can create an environment of feelings that changes from one space to another. Consider the many variations of positive feelings: uplifted, romantic, relaxed, cheerful, generous, optimistic, reminiscent and more. Scents need only be subtle to trigger the odor receptors in the brain and produce the the desired results. Example: a store might want its customers to feel optimistic and uplifted so that they are in a buying mood. Or, a homeowner may want his/her guests to return to childhood warmth while visiting a holiday party. What triggers your emotions? Q: How does your sense of smell operate? A: Your nose has at least 350 different odorant receptor proteins. These receptor proteins detect the scents in the air by combining in different combinations to identify scent molecules entering the nose. The coded signals then transfer from the nose to the olfactory bulb in the brain. From the olfactory bulb, the signals transfer to the cortex where they are mapped as “odor perceptions”. They are stored there throughout your lifetime. This is how a certain scent will remind you of a certain place or a time in your life. Furthermore, humans can identify more than 10,000 different smells! Q: Why can’t everyone smell all smells? A: The odor receptors are encoded by specific genes. If one of more of the genes or DNA in this area is damaged or missing, that individual will not be able to smell the odor related to that odor receptor. Thus, not everyone can smell everything., and scents do not smell the same to everyone. Q: Can I just add a vegetable oil carrier to make Diffuser Oil from Fragrance oils? Can I use my candle oils or other oils “as is”? A: No. Our Fragrance Diffuser oils are oils have been designed for maximum wicking and optimum fragrance dispersion. Standard fragrance oils are too thick to diffuse properly through the reed. It’s not just a matter of adding x ounces of some kind of diluted liquid. Each essential oil or fragrance oil has different characteristics of scent components and viscosity. Achieving the right formula for each fragrance diffuser oil requires the skills of an experienced perfumer (aka fragrance chemist). Did you know that your favorite perfume can contain 500 different ingredients? Q: How much Reed Diffuser Oil should I put in the diffuser bottle? A: Start out with a full or half full bottle of oil. 4 to 8 oz of oil in a typical 8 oz bottle. This will not only allow the oil to enter from the ends of the reed, but also, to permeate the reed sides too. The diffusion will take place faster and stronger. The fragrance will continue to diffuse as long as there’s any amount of diffuser oil in the bottle. Q: How many reeds should I put in the bottle? A: 10 to 12 reeds will diffuse plenty of scent with our fragrance diffuser oils. If the bottle neck is a little wider, 15 reeds look and diffuse fine too. Q: Can I dilute Fragrance oil with water to make a diffuser blend? A: No. Oil and water don’t mix. The viscosity is totally different too. You’ll end up with uneven wicking and warped reeds. A: No. The reeds are saturated with oil. Oil doesn’t evaporate in the same way that water does. The molecules are far too dense. It would be somewhat like trying to “clean” your dirty clothes by hanging them on a clothesline. After a day or two, they might not smell like whatever has soiled them, but the soil is still there. Q: My bottle is not empty but my fragrance doesn’t seem to be diffusing. A: Add new reeds and your fragrance oil will start up again. Occasionally reeds may become saturated. (We haven’t found this to be the case with our fragrance diffuser oils, but we sometimes get this question about oils from other companies. Maybe the oils that people are asking about are not really designed to diffuser oils.) Order replacement reeds here. Q: Why can’t we get 100% natural Reed Diffuse oils? After all, essential oils are all natural. A: Reed diffuser oils are the 3rd step away from essential oils. We start with Essential oil – which is natural. Then the oil is thinned with other elements to make Fragrance Oils (that are also used in candle making). Finally, for our reed diffuser oils, the fragrance oil is thinned a 3rd time with natural oils to make the Fragrance Diffuser Oil. If there were a 100% natural formulation available, we would be using it. Cold diffusing with reed is very different than diffusing essential oils with heat. This is complicated by the fact that there’s no one formula that works with all scents. Each fragrance requires its own formula. 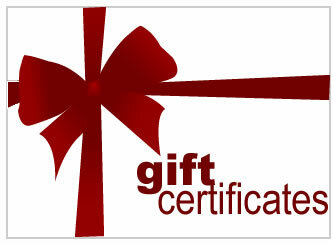 A: We are happy to exchange your purchase or credit your charge card within 30 days of purchase. 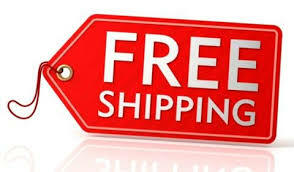 Return the product via Insured Priority Mail or UPS so that you have a record of your return. We shall refund for product only, not shipping. We cannot refund for goods that are not received, so be sure to maintain proof of your shipment to us in case you have to track a lost package with Postal Service or UPS. Be sure to enclose the original sales receipt, or printed e-mail sales receipt in the return box. On this paperwork, be sure to tell us what you wish us to do with the return: exchange, refund etc. Items that are returned with less than original contents will be pro rated for refund (example: bottles returned with less than full oils).